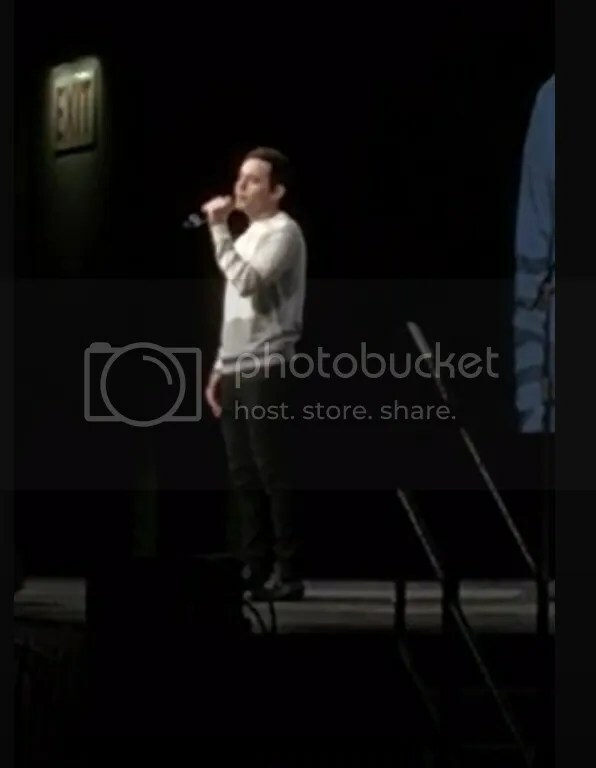 This entry was posted on Wednesday, April 13, 2016 at 8:27 PM	and is filed under @DavidArchie, @ginaorr, @kariontour, American Idol, Archies, Blog, David Archuleta, recap, The Voice. 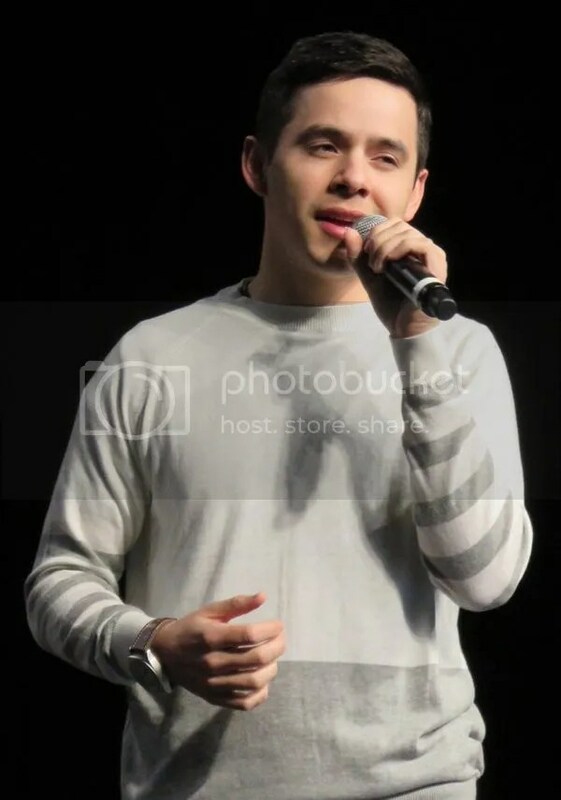 Tagged: @DavidArchie, American Idol, David Archuleta, the Voice. You can follow any responses to this entry through the RSS 2.0 feed. You can leave a response, or trackback from your own site. Love It!!! It’s comforting to know that David found some peace, and had a good time,by attending the finale. Here’s to hoping that some new music is on the near horizon!! I’m noticing that the ticket sales for various venues that he’s announcing aren’t selling out like they have been. In my thinking, fans are needing new materials. He’s getting so involved in all of these speaking/singing engagements, that concerts are not happening in other parts of the country. It would be interesting to be a fly on the wall in their meetings and discussions. I see where he is going to be at the Layton Amphitheater again this year… in June sometime. I got an email from the Davis Arts Council to get my season tickets ( 🙂 ), and there was information about his appearance (and a date), but it isn’t showing in their events calendar yet. I’m so glad he was able to go enjoy, get closure, recognize the learning and opportunities AI has given him in spite of the challenges. Giving props to his Dad for seeing in him what he didn’t. Most youth need that adult to give them that push. That he was able to speak and connect with Tamyra Gray, share what her time on AI meant and did for him and come full circle, it left me in tears. This is huge and telling of how far he’s come to understand what it all meant. He’s always said he slow lol His understanding of us is coming around 🙂 I’m so excited for the future! From MJ’s: “She highly recommends”. She wasn’t very kind to David but it’s been some time now that she’s been very positive in regards to David. Twitter has gone nuts! David is in Orlando!!! My music worlds collide – David at a Pentatonix concert! A new tweet from David this morning. What are you going to do today to make another person smile? I thought I’d give a sampling of reactions of those at PTX concert about David. This is on Orlando, Florida. @DavidArchie where are you sitting?? The Duo saw David’s tweet!
. @DavidArchie IS. IN. ORLANDO. @bizzelliott !!!!!!! Kevin Olosula from PTX responded to David! @DavidArchie @PTXofficial dude I'm so happy you came tonight! Love you, brother! Um. @DavidArchie just walked past us. Y'all @DavidArchie low key just walked out of the @PTXofficial concert! I missed yet another famous person in a public area, @DavidArchie was at CFE Arena and I was at work.. Someone took the time to add lyrics to video, nice job. Check Kari’s Periscope for a clip of David singing Angel. It short /cry. Hmmm what does she mean? Best clip of the night!! Abrra, you have been on the ball tonight posting all these goodies! Thanks so much. But #15 on the short Periscope clip says the song is Angel and he was singing True Colors. No big deal, Angels is one of my favorites and was looking forward to hearing it again. True Colors was awesome though…he changed it a little like he does and that always make it interesting! Angel was the first song. I posted the link to her Periscope so folks can see the rest of the clips by going there. She didn’t put song titles on any except True Colors, but 4 are there. I didn’t think I needed to keep posting the same link each time. He sang these songs. Kari didn’t video all of them, though. All videos re posted by ShanelleArchie#DA2016, she didn’t give credit to original videographers. Some of these look like Kari’s Periscope vids. so blessed to have been able to sit in the 2nd row tonight at #tofworlando to see @davidarchie perform! Wow. He sounds amazing. I’m requesting Tru Colors. Really love his cover of this one, who am I kidding I love them all! Thanks, Abs! I figured it was something like that. I did see the rest of the songs on FB and Twitter. Thanks for posting the rest here in one place! 🙂 You are so awesome keeping up with him! From last night. BOTW so good! I put an MP3 in the Candy jar. Also, Be Still My Soul. BSMS — ohhh-kay! I’m coming down from the high that one put me on!! Yes! BSMS and BOTW…my gosh! He keeps getting better and better! What would I have done without David and his beautiful voice and all the wonderful fans I have met because of him?? It has made life a lot better, for sure! 🙂 Keep up the good work, David! Never quit singing……talk about beautiful……. Tawna, I agree with you on David and Marie. Thankful that they feel that way and not like a lot of trashy stuff that is out there. I’m not a prude by any means but some out there are downright ridiculous. I will have to fast forward Miley when she is on The Voice next season as I can’t stand her any more since her shananigans. I read where the Beiber was caught lip sinching when he fell on stage and the music went on! 😦 How anyone can think they are great is beyond me! Thanks to FoxTV for today’s Sunday puzzle. Another beauty, Abs. Thanks! For some reason David’s face went together before the edges… 🙂 .and lovin’ all that blue…he looks so good in blue! Just can’t get enough of that voice! The closest TOFW is in Sacramento a 6 hour drive, bad timing though or else very tempted. Nice video of David interview at the finale. DO I SEE WHAT I THINK I SEE???? ummm – dja – I’m blind… what do you think you see? I think its the filter on the B/W image. I don’t see anything in his performance pictures. Billboard picked up David’s AI Finale blog. Nice. #49…. cracks. me. up!!! 😀 😀 Here we are waiting for new music and he’s taking painting classes. 😉 Maybe he’s going to paint his own stage backdrops. Oh well…. it shall happen… eventually! Does this look like he was working right-handed? Jans, I saw the squiggly pigs! He’s still doodling them. People were suggesting he write using his drawings, I’d buy. David songwriting!!! Is he writing for Gracie? How fun! Abrra that would be very nice. Isabeau Miller also posted the songwriting picture on her instagram. I love her comment. Be Still My Soul. David keeps improving his performance from the previous one and good view on this one.